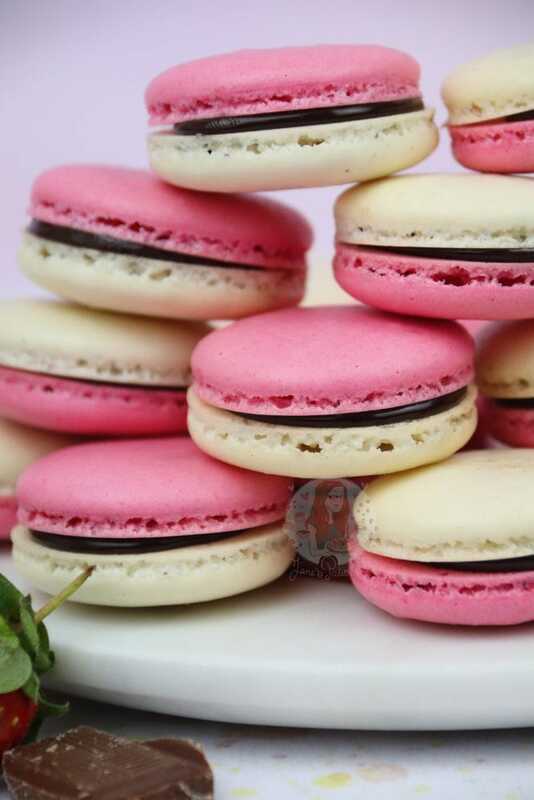 A delicious Macaron Twist on a Classic Ice Cream… A Vanilla Shell, Chocolate Ganache Filling, and a Strawberry Shell… Neapolitan Macarons! I do love a lovely afternoon tea, and often an accompaniment to these are Macarons. 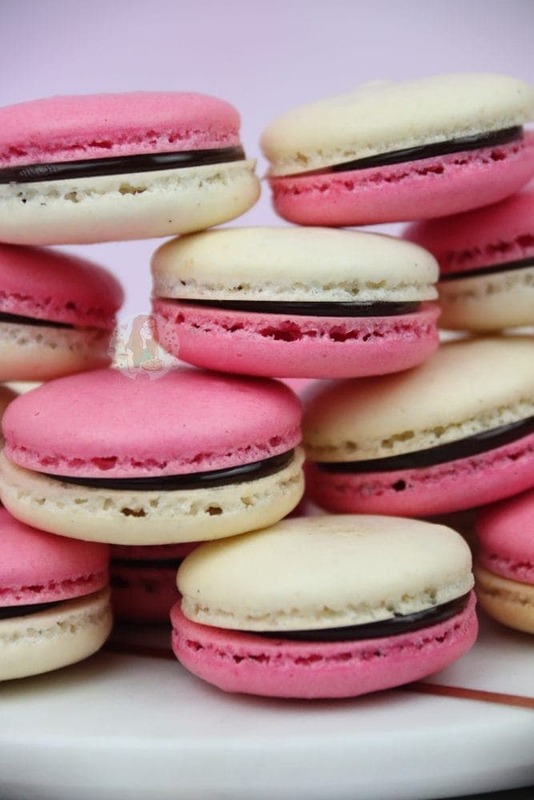 There are important things to know here… these are MacarONS ~not~ MacarOONS. These are two very different things. Macaroons are a little ball of desiccated coconut, often mixed with condensed milk for example. They’re delicious, but they’re not Macarons. 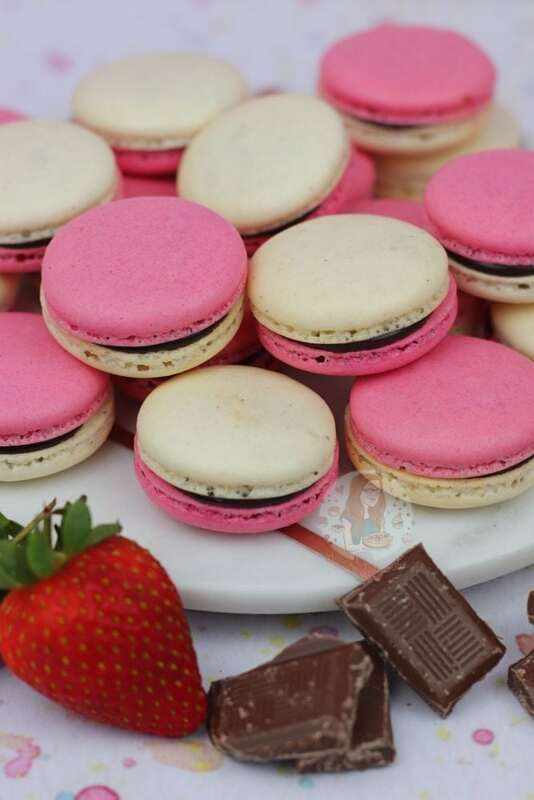 Macarons are delicious and delectable treats, that are light and delicious. I love them. 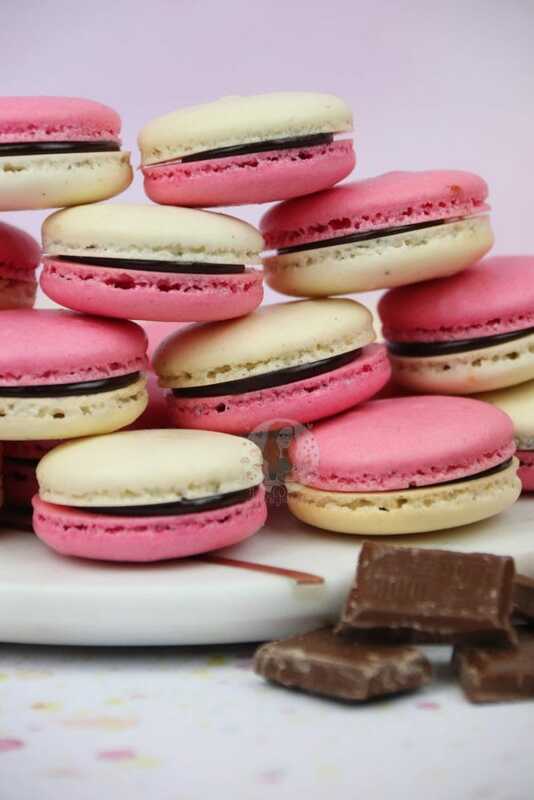 I’ve made several recipes for them so far such as my Salted Caramel Macarons and Triple Chocolate Macarons. However, I wanted to try something a little more jazzy and thought a multi flavoured Macaron would be amazing. I found this DELICIOUS post from Every Nook & Cranny about her Neapolitan Macarons, and new I wanted to give them my own spin. I prefer a dark chocolate ganache however, so went for Strawberry and Vanilla Shells, instead of Chocolate and Vanilla shells with a strawberry filling. 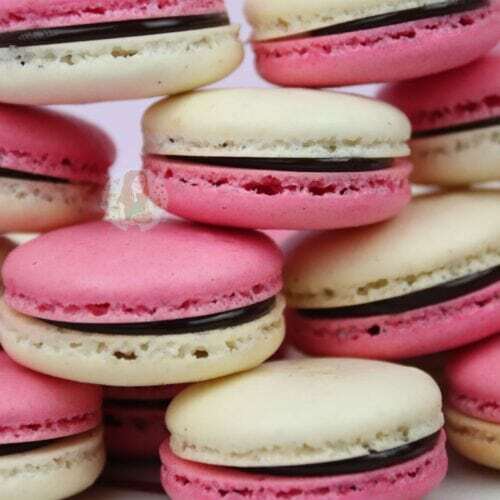 Macarons are one of those treats that seems ‘elite’ in a way, because often when you buy them they can be expensive. The ingredients aren’t the cheapest in all honesty, but its not as expensive as you might think when you actually look into it. For the amount of macarons that you get out of a batch, its really quite good! And if you make them at home, you get many many more for your money. 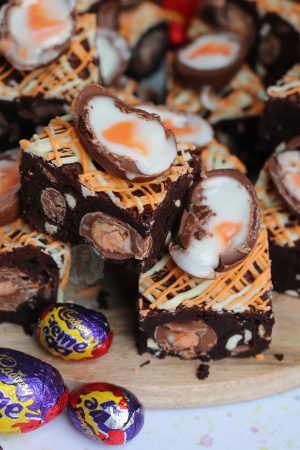 The one thing I will say about these, is they are a liiiittle bit faffy to make, but they are worth it. Also, a lot of it is down to practice. 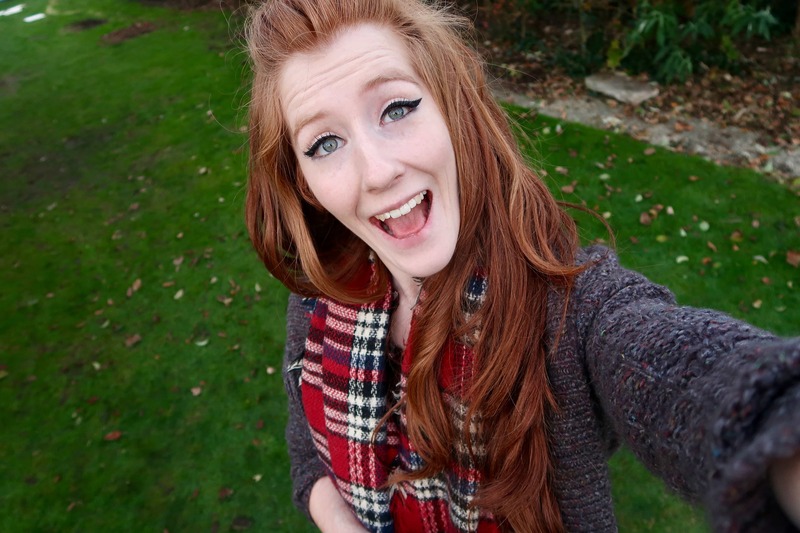 I can definitely say that the first few times I made these, they didn’t necessarily go to plan. But now after making them several times, and perfecting my recipe, I love make them and they work wonderfully! You reeeeaaallllyyy do HAVE to sieve your icing sugar and almonds in the mixture, because if you don’t, it will be lump city. You can see from my pictures that my shells are lovely and smooth on the tops, and thats due to sieving. It’s also due, to the ‘Macaronage’ process. I only recently discovered what this actually is, but I love the name so I’m rolling with it. You basically have to fold the meringue mixture with the almond mixture carefully, so not completely destroy the meringue, but once its all folded together, you ‘wipe’ the mixture around the edges of the bowl. This is a hard thing to describe, and I haven’t had a chance to film it yet, but using your spatula you basically de-flate the mixture and make it slightly runnier in a way. I used to think that a runnier mixture was bad news, but if you follow this process, it’s perfect. I recommend using a smaller piping tip for this process as less mixture will come out a time, and using These Macaron Mats as your guide. They already have the circles marked out, and thats a life saver. I usually pipe directly down onto the mat, to the size of the smaller circle, and then naturally the macarons spread to the size of the larger circle. This recipe does use Strawberry Extract for the flavouring, which I know some people won’t be a fan of, but it really is such a good quality. It’s the same brand of flavouring that I use for my Kinder Bueno Brownies that you guys all love as well! 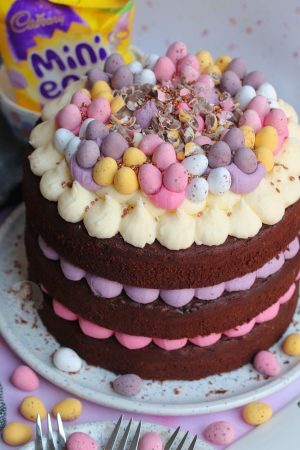 I do also recommend using a good quality Pink Food Colouring so you have to use less, and therefore it won’t affect the quality of the mixture. 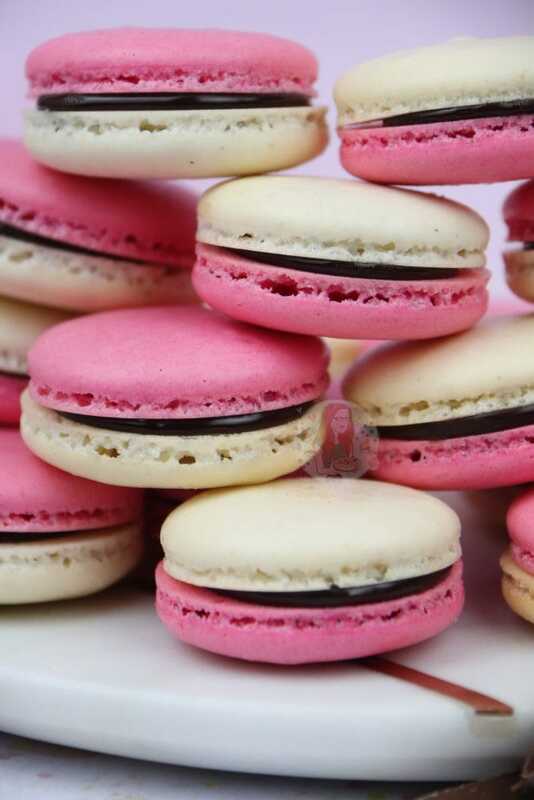 A delicious Macaron Twist on a Classic Ice Cream... A Vanilla Shell, Chocolate Ganache Filling, and a Strawberry Shell... Neapolitan Macarons! In a medium sized bowl, sift 100g of the Icing Sugar, and 50g of the Ground Almonds. Its very important that you sift it, as this will prevent any lumps. In a second medium sized bowl, do the same with the other 100g of the Icing Sugar, and 50g of the Ground Almonds. In a stand mixer, add your Egg Whites. Make sure the bowl and whisk you are using are spotlessly clean first! Whisk the egg whites up to stiff peaks, and start adding the caster sugar teaspoon by teaspoon till all is incorporated. Whisk for another minute or so afterwards. Add half of the meringue mixture to one of the bowls of Sugar/Almonds. It should weight about 87/88g to make sure you're nearer half. In that bowl, add the 1 tsp of Vanilla and fold the mixture carefully but making sure that its all incorporated. The next step is called 'Macaronage' where you basically press and wipe the mixture around the edges of the bowl to sort of de-fluff it in a way. It smooths the mixture out, making it better. With the other half of the Meringue, add the pink food colouring and Strawberry Extract and whisk till combined. Add this to the Sugar/Almond mix and repeat the folding and macaronage. With a disposable piping bag, add a small round tip. Carefully pipe the mixtures onto some Macaron Mats. The mixture does spread naturally, so don't pipe them that large otherwise they might end up touching. You should end up with equal amounts of pink shells, and vanilla shells. Once piped, tap the trays onto the work surface 5-6 times to get any air bubbles out, and leave on the side for 1 hour to form a skin. Towards the end of the hour, turn your oven on to 130C Fan. Once the hour is up, put the Macarons in the oven to bake for 16-20 minutes. I usually go more towards 20 minutes. Leave them to cool full on the mats before peeling them off. Once cooled, make your ganache - Add your dark chocolate to a bowl, chopped up. Heat your cream in a pan till its just starting to boil, and pour it over the dark chocolate. Leave it to sit for 5 minutes, and then stir together. Leave again for 5 minutes to cool slightly, and then add to a piping bag. 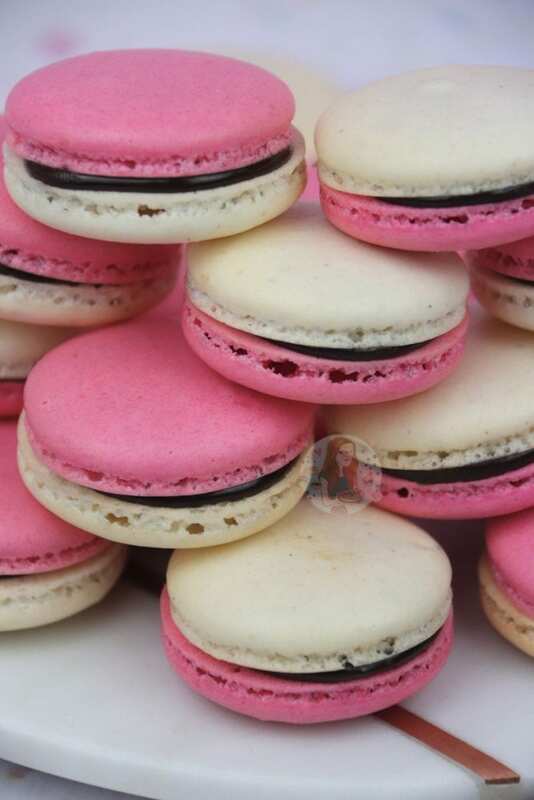 Pipe a smallish amount into the middle of all of the strawberry or vanilla Macarons, and then sandwich on the opposite colour/flavour. Put them into the fridge for the ganache to set for an hour or so, and then enjoy! These Macarons will last for up to one week in the fridge. 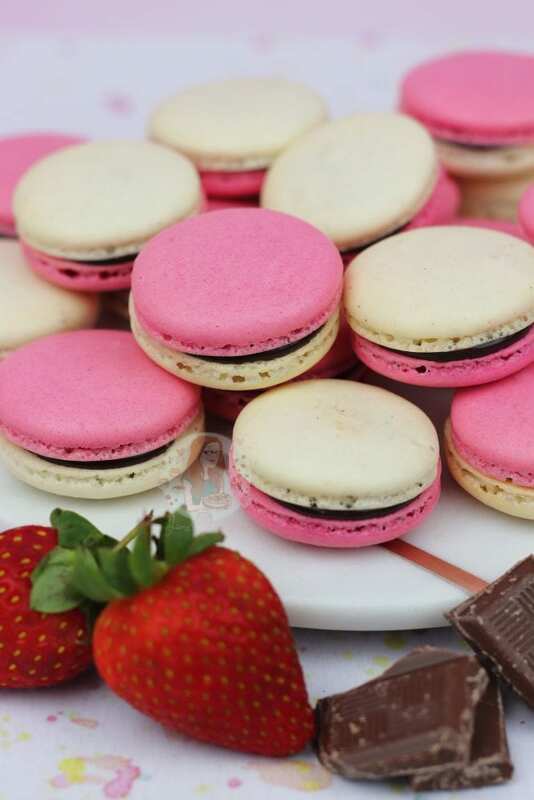 You don't have to use Strawberry Extract, but its the easiest way to get the strawberry flavouring in the Macarons. You could easily just colour them pink if you wanted the affect, but without the flavouring. I will post a youtube video of making macarons asap! If you don't want to fill the shells immediately, still store them in the fridge. 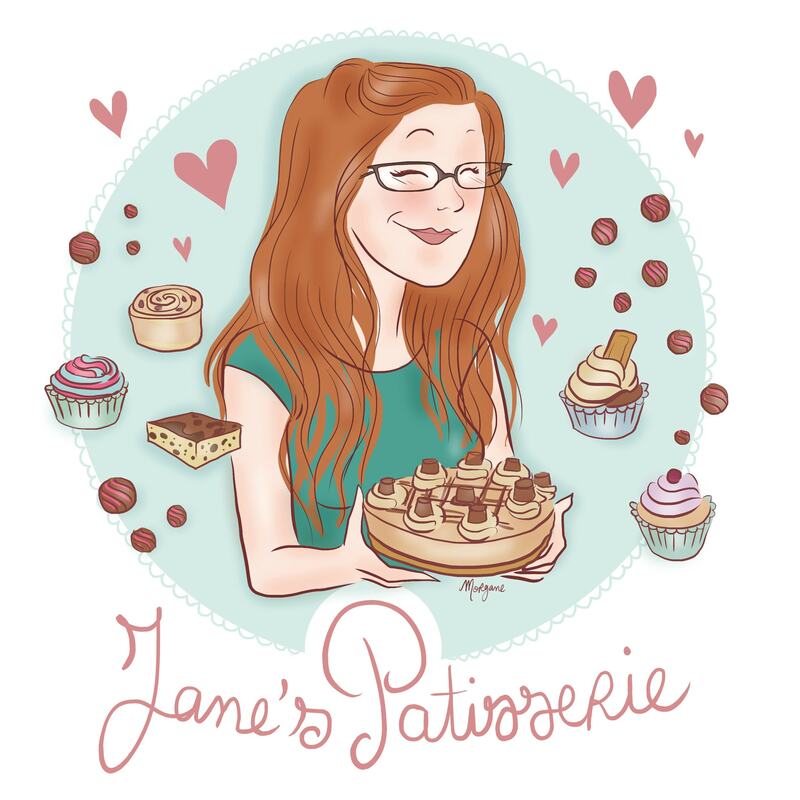 Find my other Macaron Recipes on my Recipes Page! Older Next post: No-Bake Summer Berry Cheesecake! Newer Previous post: Crunchie Drip Cake! Where did you find strawberry extract? 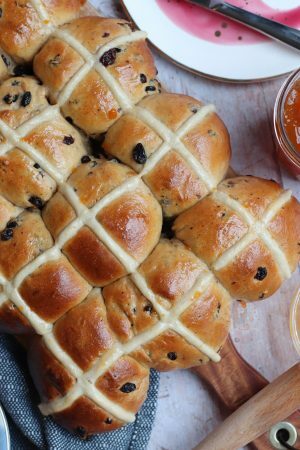 Oh its on my homepage, its on all social medias, and theres links, and the recipe is on the post you’re commenting on so I’m not sure of the issue? These look gorgeous – the contrasting ice cream colours and beautiful – and thanks also for recommending a macaron mat! I’ve been looking for something like this for ages because the drawing out of the circles is pure tedium. Yesss same honestly these mats are a revelation! 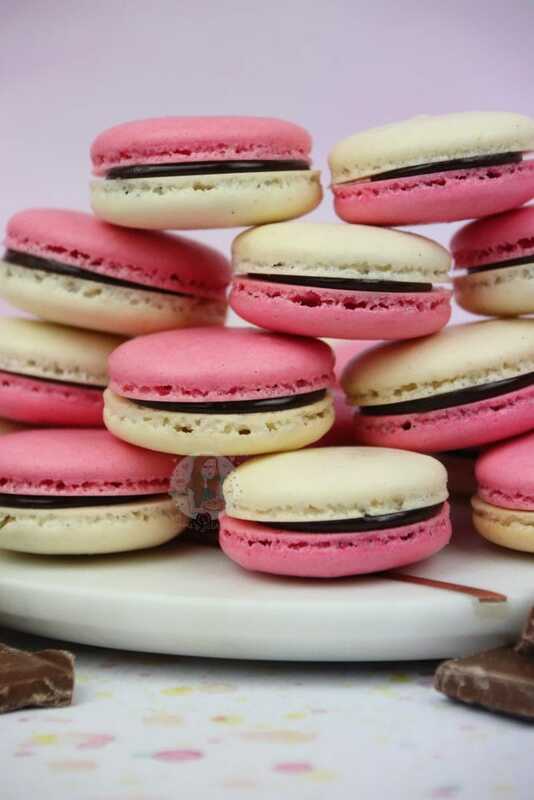 Can’t wait to try these Neapolitan macarons! I noticed they’re not yet on your website yet? Please let us know when the video is uploaded. Thanks! They’re not on my website yet?